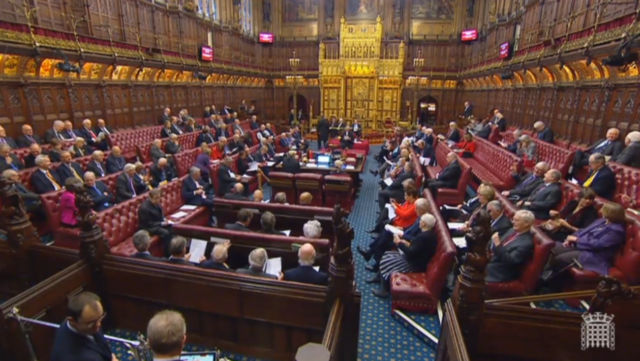 Key Brexit legislation has passed its first Lords test after a marathon two-day debate featuring a recordbreaking number of speakers. Peers gave the European Union (Withdrawal) Bill, bringing existing EU law into UK law, an unopposed second reading after some 20 hours of debate featuring 190 peers. But it faces bigger battles from next month when it is examined line by line and could be amended several times. Many of the peers speaking during the debate on the principle of the Bill stressed that while the measure must pass it needed substantial amendment. 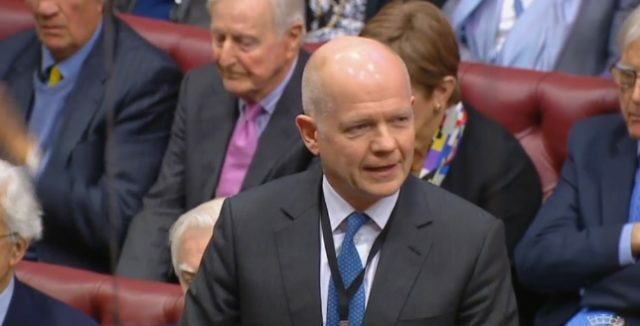 Former Conservative leader William Hague warned against getting on to a "referendum merry-go-round" over the UK's withdrawal from the EU. He said: "We could have made a success of the UK in the EU and we can make a success, with some cost and upheaval, of being outside the EU. "But we cannot possibly make a success of being in a national state of bewilderment about when we're going to have another referendum and which direction we are going in." Insisting a second referendum could even trigger calls for a third, he said a change of decision could "plunge the country into a long and bitter dispute and division, greater than anything we have seen so far". Former Commons speaker Betty Boothroyd urged peers to use the "entire arsenal of our powers" over Brexit legislation to "limit the damage" to Parliament and the national interest. Lady Boothroyd said she could not recall "a comparable crisis of such prolonged intensity and danger to the national interest", adding that, having campaigned for Remain, she was "bemused now to find it is the winning side that is blowing a fuse". The independent crossbencher said the duty of the House of Lords to examine, amend and potentially reject parts of the Bill was clear regardless of how people voted in the referendum and their opinion of the Government's "squabbling factions". Former Cabinet Secretary Lord O'Donnell said the "bickering and blaming the servants needs to stop" as he expressed disappointment over a "divided Cabinet" attacking civil servants. Lord Reid of Cardowan, a Labour former Cabinet minister, described how he had been a reluctant remainer but having watched the course of the negotiations was now "a very strong remainer". He explained: "Because I believe that we are heading towards a disaster, a halfway house." He believed the UK would end up "in all but name" in the customs union and single market, noting: "We will end up in the worst of all worlds." But Tory former Cabinet minister Lord Forsyth of Drumlean argued the legislation would return powers "given away" when the UK joined the bloc. He said: "There were 20,000 EU laws brought into British law over which Parliament had no say whatsoever. "So I take with a pinch of salt those who suggest this is a terrible Bill because it is denying Parliament to decide matters." Responding to the debate, Brexit minister Lord Callanan said the Bill was needed to ensure the "statute book continues to function on exit, providing certainty and continuity both for businesses and individuals". He said: "I have heard the concerns raised in this House. Be in no doubt that the Government is in listening mode and is willing to consider constructive suggestions for change." Ruling out a second referendum, he said: "You cannot go back to the people time and time again in the vain hope that eventually they will give you the result that you wanted." A call from Labour's Lord Adonis for a second referendum on the terms of the final Brexit deal, was withdrawn before the Bill received its second reading.